TifQuik Bahia Grass is a new variety that is an excellent choice for pastures in Texas and southeastern states like Florida. It provides quick germination and establishment. Developed by the USDA and the University of Georgia, TifQuik was bred: "to reduce hard seed and thus provide faster germination and field establishment than Tifton 9. These features mean that a TifQuik seeded pasture will be covered earlier and grazing or hay removal can be performed sooner, with higher initial yields," says Bill Anderson, a geneticist with the Agricultural Research Service of the Crop Genetics and Breeding Research Unit in Tifton, Georgia. Seeding Rate: 25lbs to 40 lbs per acre. 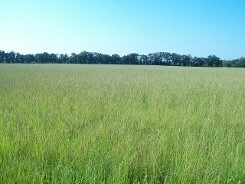 Argentine Bahiagrass is mostly used as a lawn and pasture grass in the more southern regions of the Southeastern United States. It has a larger leaf structure and darker green color than other Bahiagrass, which makes it more desirable as a lawn grass. This grass loves full sun and warm weather and makes a great substitute for St. Augustine and Floratam lawn grass because of its drought, insect, and disease tolerance. It will turn brown after a light frost, but comes back with the return of warm weather in late winter or early spring. This variety will be available in mid-August 2015. Contact us to pre-order yours today. Also available in mixes. Seeding Rates for Bahiagrass : Plant 5 - 10 pounds per thousand square feet for lawns, plant 25-50 pounds per acre. Pensacola Bahiagrass is an excellent warm-season perennial grass in Florida and the southeastern United States. 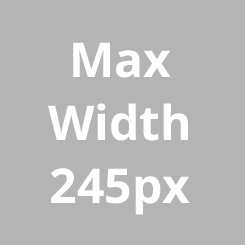 This widely used grass is utilized primarily for pastures, erosion control, and lawns. It is very deep rooted, which provides good drought and cold tolerance. The top growth of Bahiagrass will experience browning after frost during the winter, but comes back rapidly with the return of warm weather. Pensacola's only pests are army worms and mole crickets, and the grass is extremely disease-resistant. It can grow to 12 to 25 inches tall and is best adapted to sandy loam soils. Also available in mixes.